Welcome to RCS & Associates! RCS & Associates is a power transmission and motion control manufacturer's representative firm that specializes in partnering with clients, uncovering their needs, and finding the solutions to their varying application issues. We proudly represent the Eastern Time Zone of Florida's Industries. We represent manufacturers whose products fit the needs of many industries. We provide products that are cost-effective, save on downtime, and increase productivity for customers. RCS & Associates represents: Better Engineering, Bison Gear & Engineering, Daido Corp of America, Fenner Drives, Ogura Clutch, PBC Linear, Raco International, Rainbow Belts, Reuland, and Stober Drives. Contact an RCS & Associates' representative for your Power Transmission and Motion Control Needs. Moving your cargo for assembly, manufacturing, and distribution requires sophisticated products. Relying on your conveyor system to transport, store, sort, palletize, or divert your products also requires dependable productivity. We, at RCS & Associates know and understand the importance of your conveyor functioning at all times. 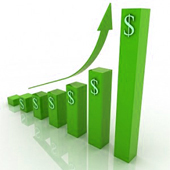 Your organization can not afford the costs associated with downtime. RCS ∧ Associates provides the replacement parts and components for decline, incline, horizontal, vertical, and around-corners conveyor functionality. Our extensive line of products decreases maintenance intervals allowing you to return to productivity. Allow RCS & Associates to deliver innovative solutions for your conveyor needs today. PowerTwist Plus V-Belt Installation vs. Conventional Rubber V-Belt, Check out the video! 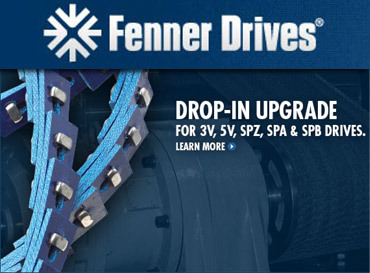 Please visit Fenner Drives website by clicking here. And for more videos of Fenner Drives' products and services, visit their YouTube channel. Round Shaft Technology uses precision round shafting as the guideway and linear plain bearings or linear ball bearings for movement. While the shafting is often hardened steel, other materials such as stainless steel and hard anodized aluminum are available in standard industry sizes. RST self-lubricating linear plain bearings and linear ball bearings come in a wide variety of configurations and offer solutions for a broad range of applications. Support rails for round shafting coupled with open bearings offer additional rigidity for heavy loads, while flanged bearings and pillow blocks offer a variety of mounting configurations. Download the new Round Shaft Technology catalog here. Watch the video for more information on PBC Linear's Simplicity® Round Shaft Technology (RST). 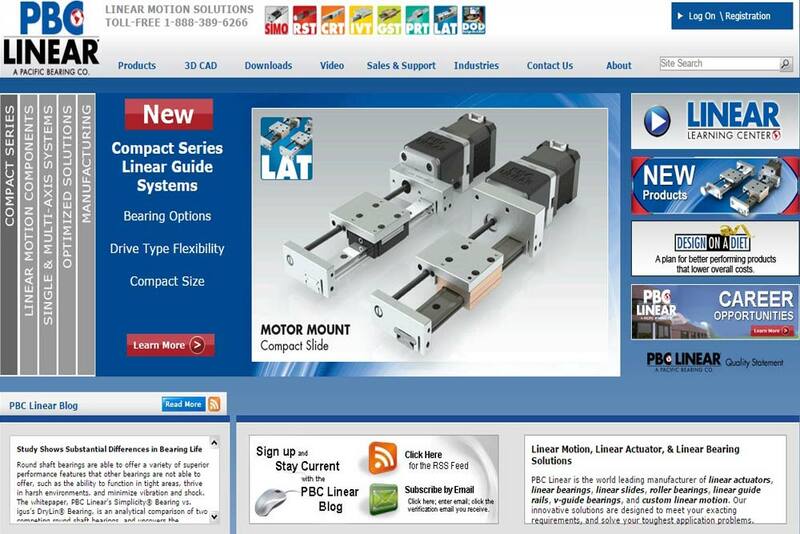 Please visit PBC Linear's website by clicking here. 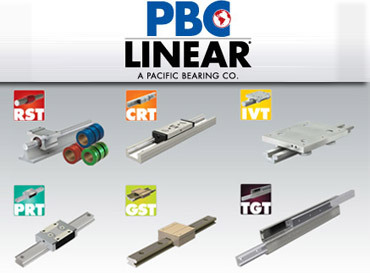 And for more videos of PBC Linear's products and services, visit their YouTube channel. With P.T. International’s wide variety of American Standard and European Metric Power Transmission Products, we offer the most comprehensive range of mounted bearing and drive-related products and accessories in the industry. This line of bearings, gears, and power transmission components has increased productivity for various manufacturers in multiple industries, improving profitability. The SAF Pillow Block features a durable cast housing, high center height, and accepts both metric and standard inch bore sizes. Learn more about P.T. Internation Corp. Please visit P.T. International's website by clicking here. The RACO MA series electric actuator is a flexible modular system allowing you to use specific requirements for your application. The MA actuator system can accommodate almost any drive configuration, and allow for use of any electric motor. These motors include: The standard RACO motor, common AC or DC gear-motors, and new generation high performance Servo motors. RACO Compact series electro-mechanical linear actuators retain almost matching performance levels as seen in the MA series actuators. These compact actuators have the smallest stroke to length ratios in their class. They have a much smaller overall dimensions compared to other electric actuators on the market. Being economically priced and due to their high performance and durability, allows you to save on cost and downtime increasing your ROI. The compact RACO series electric actuators have a flexible modular design allowing you easy customization to suit your application requirements. RACO INTERNATIONAL LM Series Linear drives are engineered for high speed, long travel, and accuracy. These LM series Linear Drives allow for ACME Screw, Ball Screw, or belt driven configurations. RACO’s engineering & design makes the LM series linear drive an amazing performer in heavy duty applications that normally would require the use of the RACO MA Series electric linear actuators. The benefits of the the LM Series linear drives are: longer stroke lengths, light weight design, and easy to configure. They provide up to 800 lbs. load capacities, and linear drive carriage speeds of up to 200 inches per second. 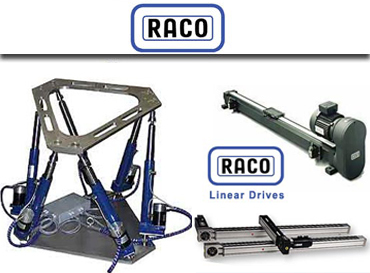 For State-of-the-art Raco Linear Actuators, turn to RCS & Associates. Watch the Raco International video for details on their robust actuators! 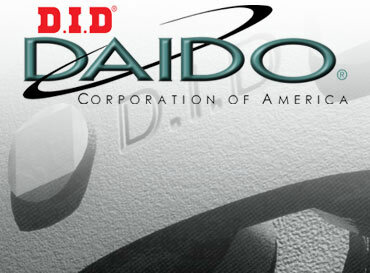 Please visit Raco International's website by clicking here. 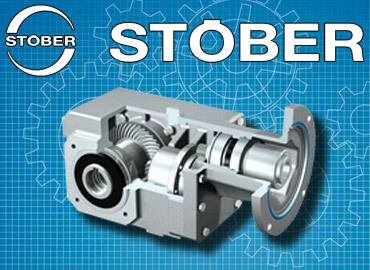 Stober Drives' high-quality, proven efficiency MGS “KSS” Series Helical/Bevel right angle speed reducer with the flexibility of the double-sided, wobble-free bushing, expanded bore sizes, stainless steel housing, low-noise, and long-service life makes this Stainless Steel gearbox a great choice for the harshest wash-downs. Maintenance-free and lubricated for life, the right-angle speed reducer is designed not to let any oil escape and to make sure no contaminants enter gearbox. To view all the specifications on the KSS click here. Watch the video for a look inside the KSS. 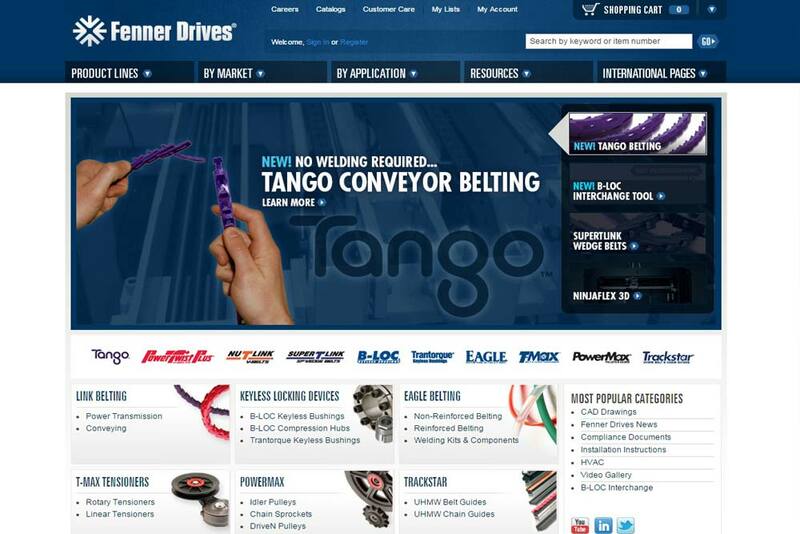 Please visit Stober's Drives website by clicking here. 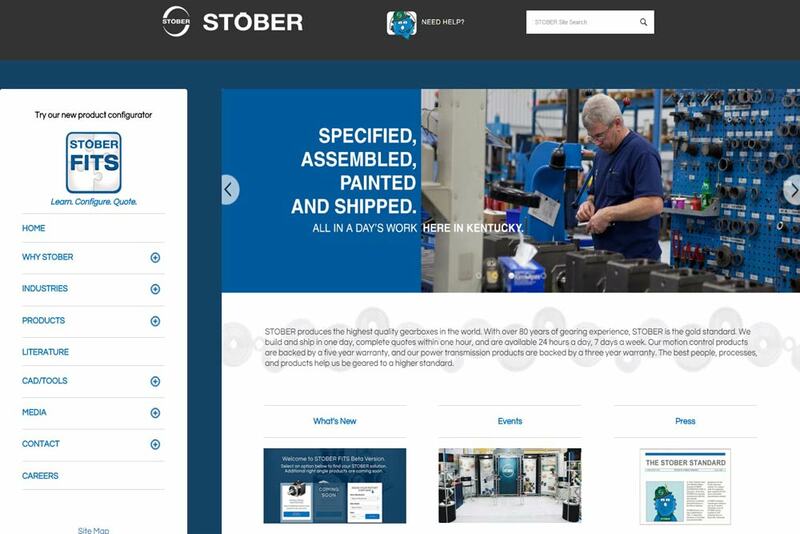 And for more videos of Stober Drive's products and services, visit their YouTube channel. Better Engineering’s line of rotary drum washers clean small parts in volume. The rotating drum has an internal helix to tumble and convey the parts forward through one or more cleaning stages. The drums are available in 14″, 24″, 36″ and 48″ diameters and are tailored to each application when it comes to perforation size, the pitch of the helix, and the height of the helix. The wet stages can have spray, immersion or both, and the hot air dryers run as high as 250° F.
Check out this video showing a Rotary Drum Washer for Small Ammunition Cleaning. In this drum washer, 7.62mm shell casings are put through the following 5 stages: acid pickling to remove the heat treatment scale, rinse, rinse, lube, and dry. All wetted parts of the system are stainless steel. The drum has "scoops" to bring the fluid into the drum (there are no pumps). In the wet stages, the shells are fully immersed. The system outputs 40,000 shell casings per hour. 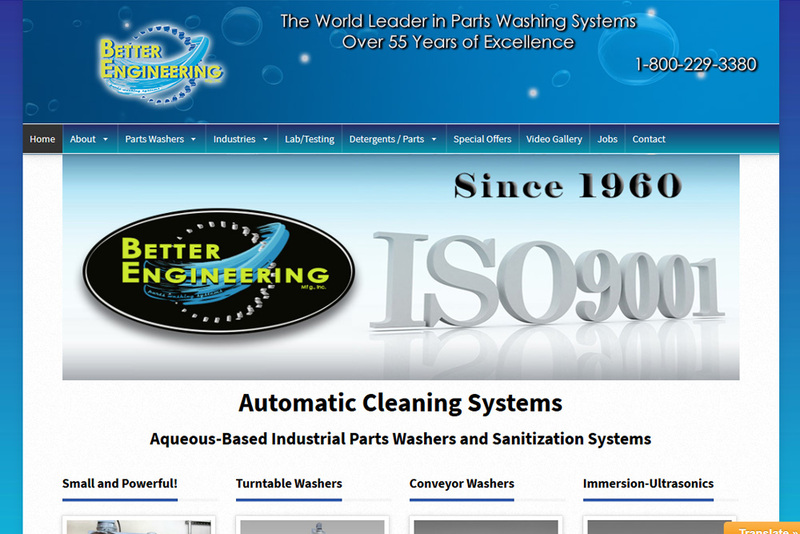 Please visit Better Engineering's website by clicking here. 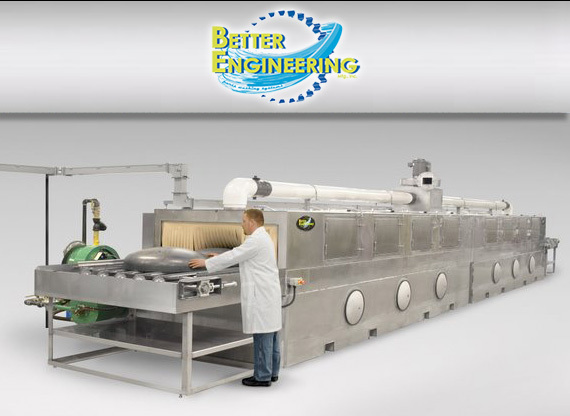 And for more videos of Better Engineering's products and services, visit their YouTube channel. 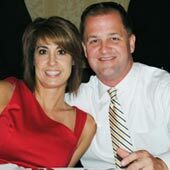 Meet Some of Our Principals! 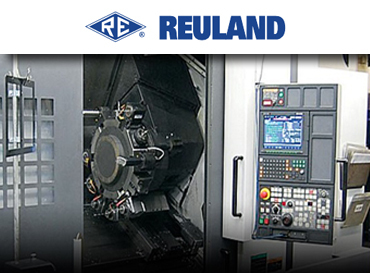 Reuland is a manucturer of A.C. Inverter Duty Motors, Permanent Magnet Motors, Brakes, Partial Motors, Elevator Motors, Crane & Hoist Motors, High Speed Motors, Adapters/Couplings, Shipboard Motors. They offer customizing to meet the needs of Power Transmission Industry applications! Give us a ring, we're here to help! 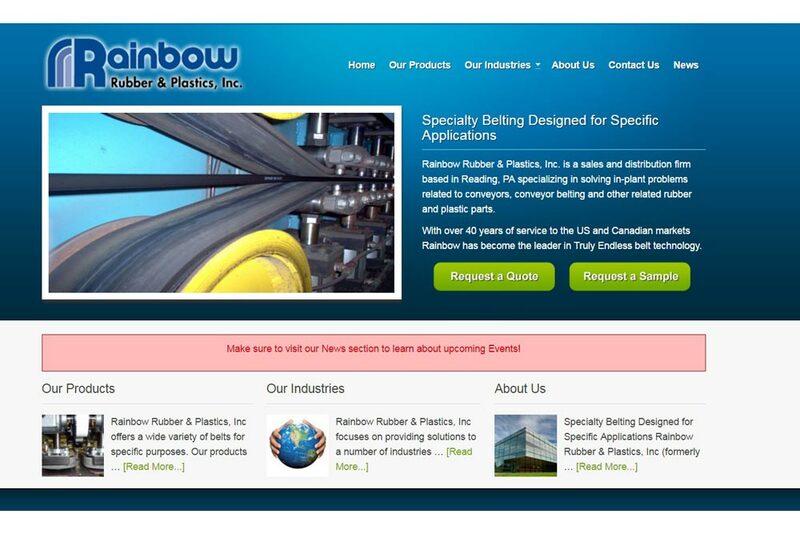 Rainbow Rubber & Plastics offers a diverse line of belting industry solutions. Conveyor belting and specialty belting are enginered to cover a broad range of industries. 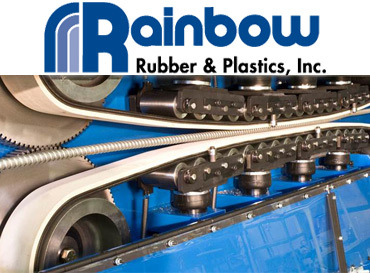 Rainbow Belt's diverse product line allows for manufacturing solutions to meet the needs of their customers' applications. 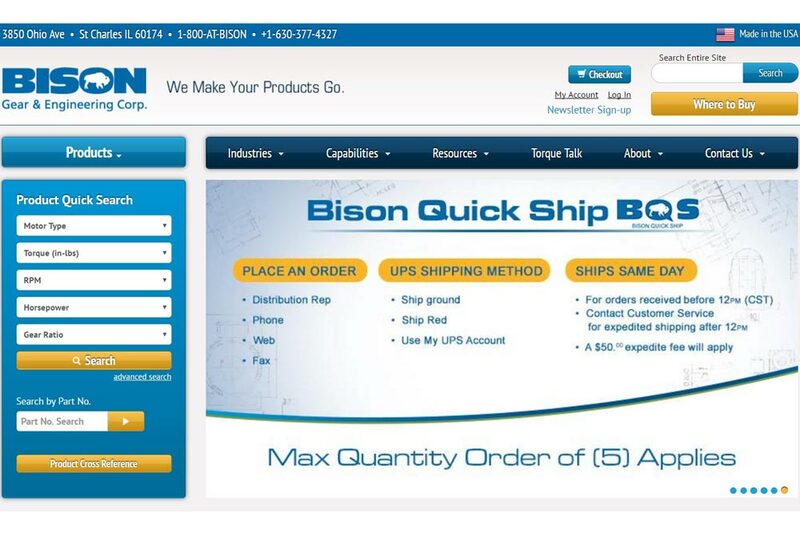 Bison Gear & Engineering Corp is an American Gear Manufacturers Association (AGMA) member. High quality manufacturing are a "must have" to meet or exceed AGMA standards. 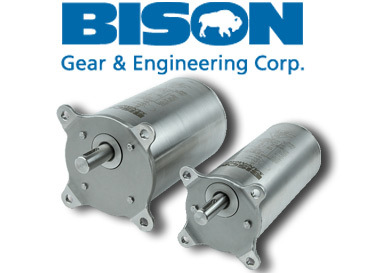 Manufacturing a diverse line of AC gear motors, brushless DC motors, right angle, and PMDC motors are only a fraction of Bison Gear's product offerings, all this with quality you can count on. 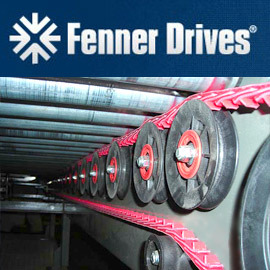 Fenner Drives®' PowerTwist Plus, PowerMax Pulleys and idlers doing work! The perfect combination for both packaging and distribution industries! 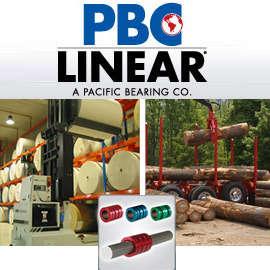 PBC Linear's (RST) Round Shaft Technology, Linear Bearings and Guides are perfect for the forest, miltary, and fabrication industries. These components are built to withstand the harshest of enviornments. 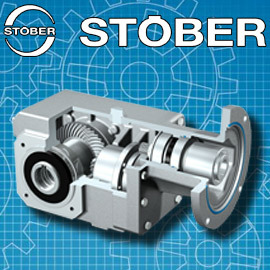 When it comes to gear reducers STOBER DRIVES has no equal. The KSS right angle gear reducer features a stainless steel housing, and bushing system. 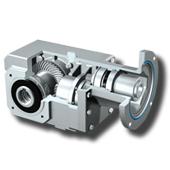 This is the ideal gear reducer for the food industry, and it carries an IP69K certification. 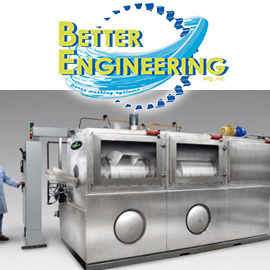 Better Engineering's line of rotary drum washers clean small parts in volume. The rotating drum has an internal helix to tumble and convey the parts forward through one or more cleaning stages. 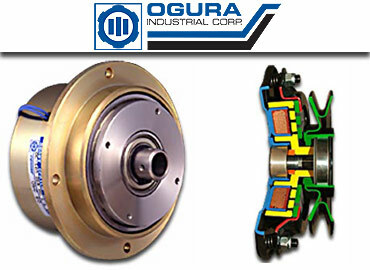 Master-level knowledge of the power transmission and motion control industries is assured. We are always listening to the needs of our clients. We find the right industry solution for your application the first time. We serve the entire Florida territory for power transmission, and motion control. We provide innovative ideas for the: forest, conveying, food & beverage, packaging, aggragate, marine, and manufacturing industries. We can show you how to increase your bottom line with products that are energy efficient and provide less down time. We will find the right solution for your application the first time. We are eager to answer your questions, please contact us. We're here to help. Building relationships with our principals and clients. RCS & Associates has many years of experience in the motion control and power transmission industries. Using the latest technology and our experience, we find solutions for our clients’ needs in many industries by incorporating the products and services provided by our principals. We build relationships with our principals and clients to provide the utmost in professional service. RCS & Associates provides the Florida territory’s industries with energy efficient and cost effective products. Not only are they cost effective, but in most cases, they require less maintenance. For example, selecting a more effecient gear reducer for your conveying system saves on energy costs, and downtime. By selecting a proven and durable product for your application, you decrease downtime and increase your productivity. With advancements in technology, RCS & Associates can provide a product from one of our principals that requires less energy to operate and will help reduce your maintenance cost. Technological advancements from our principals’ product lines come from many hours of R&D. We supply the industrial manufacturing industries with products and services that will keep you up and running. Not only can we help you keep running, but we can help you increase your bottom line. RCS & Associates Monthly Featured Video! RCS & Associates features a video of our principals' products and services monthly. If a picture is worth a 1000 words, a video is worth a million. This Month's video is dedicated to Better Engineering! Let's let them show us features of their Cyber-Jets Conveyor Parts Washing System!